When McKenna Barbee arrives at Camp Hope each summer, she knows she doesn’t have to explain the scars on her body. The other campers will understand the pain she experiences, the sometimes sleepless nights and the seemingly endless number of procedures and surgeries. 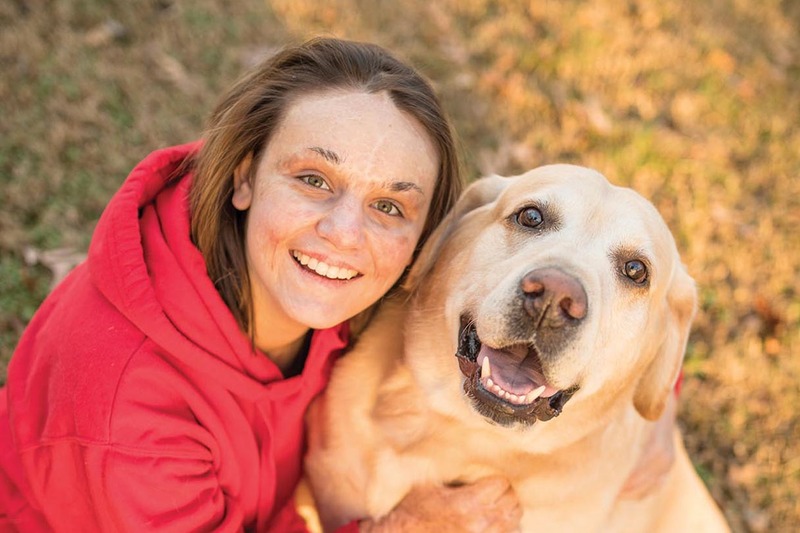 McKenna, a 16-year-old burn injury survivor, has attended the camp every year since 2011. For 27 years and counting, Camp Hope has been a four-day, three-night camping experience specifically designed for children who have sustained burn injuries. The idea for the camp was born shortly after the Vanderbilt Burn Center opened in November 1983, when nurses realized the need for pediatric burn survivors to have a sense of community. Camp Hope is funded through private donations from the community and held annually at the William P. Ridley 4-H Center in Columbia, Tennessee. Designed for burn survivors ages 6 to 16, the camp is planned and organized by Vanderbilt Burn Center nurses. This past year, 34 campers, including McKenna, participated in this unique experience where nurses, firefighters and adult burn survivors serve as camp counselors. Rebekah Lemley, RN, BSN, EMT, burn program coordinator and director of Camp Hope, says the camp provides a safe place for dialogue among peers who have had similar experiences. (From left) Campers Selah Reeves, 6, Brianna Butler, 9, and Riley Medley, 7, bond during the weeklong Camp Hope. Photo by Brittni Davis. The campers have a chance to take part in a week of fun summer activities while recovering from the devastating physical and psychological injuries associated with burns. Self-esteem is one of the greatest challenges for a burn survivor, says Lemley. McKenna suffered burn injuries at age 8, while playing pretend house with her younger cousin in July 2010. Unbeknownst to McKenna’s family, she had found some matches on the street while riding her bike on July Fourth and held onto them. Five days later as part of the pretend play, she and her cousin decided to make a campfire with the matches. Her cousin got scared by the fire and grabbed what she believed was a canister of water from her grandfather’s basement — but it turned out to be gasoline. McKenna was engulfed in flames and suffered third-degree burns on 76 percent of her body. The only part of her body unburned was the skin covered by a tank top and shorts. She spent 96 days fighting for her life and healing in the hospital with burn care, time spent between Monroe Carell Jr. Children’s Hospital at Vanderbilt and Vanderbilt University Adult Hospital. McKenna went to her first camp almost a year after the injury. Nurses were on hand to help her with any care she needed, a comfort to both her and her mother. She has kept going back ever since. While at the camp, the children and teens get to experience a variety of activities, including swimming, arts and crafts, zip lining, nature hikes and kickball. They also learn about fire safety, complete the Firefighter Challenge course, and engage with emergency workers on Family Safety Day. ← One second. One touch. Lives forever changed.